Hello everyone and welcome to my very first post of this new year 2k15! I've been missing since the 31th of December because I've been spending time with my boyfriend. But now it's time to catch up with a lot of things like this blog, my course work, my actual work and of course, I have to start with my workout again because I've been almost all christmas holidays without doing anything at all and I'm starting to feel gross. 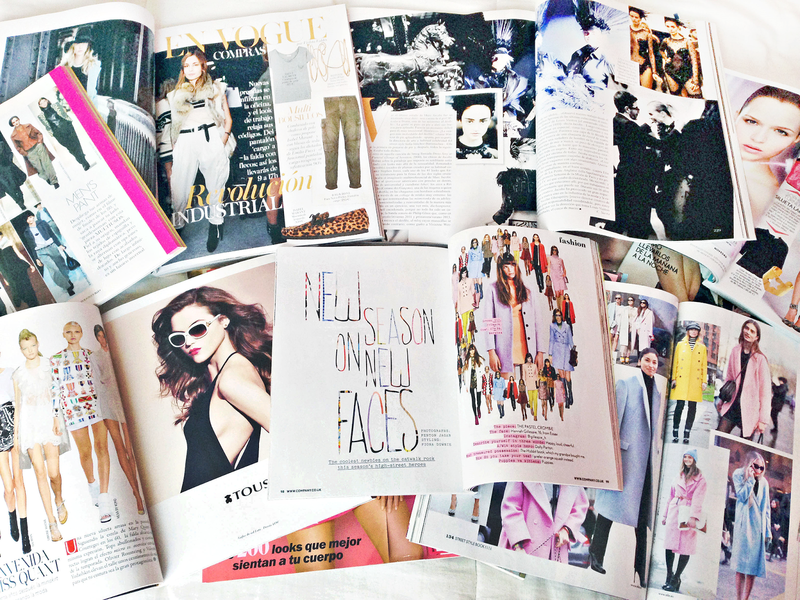 Anyways, in this first post of the year I thought I could show you what magazines inspire me. I didn't have the time to buy the Januay issues yet but I'm showing you some of the magazines that I bought in 2k14 which are the same I'll be getting this year. These are my faves but there are a lot more and depending where you live, even more. 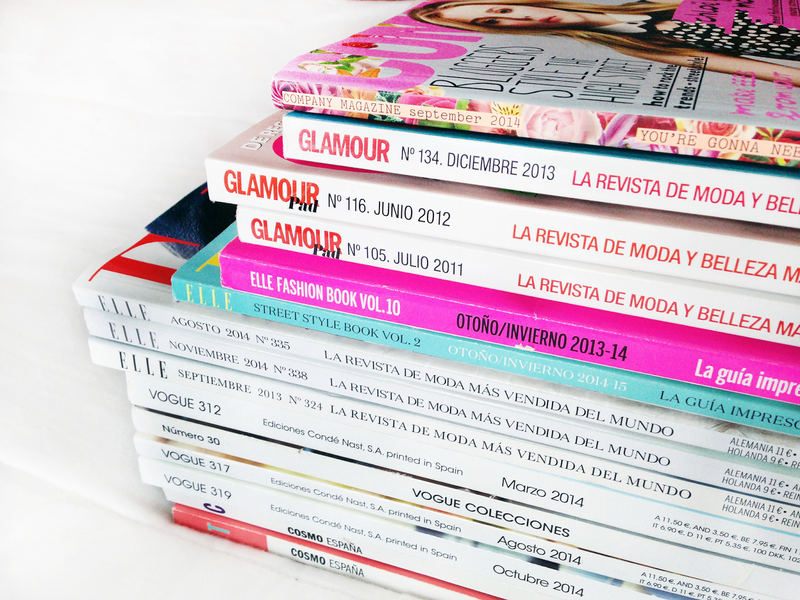 My all time faves are Vogue and Elle, but sometimes I also get Glamour and Cosmopolitan. (The Company one that you can see in the pictures was sent to me by my lovely penpal Jord, because it's not available in my country). I love cosmo and glamour for the articles! I like how it is aimed towards intelligent, career driven women but also has fashion and beauty! I love Elle magazine, I make sure I get a copy every month!